Rose Asher believes in ghosts. She should, since she has one for a best friend: Logan, her annoying, Netflix-addicted brother, who is forever stuck at 15. But Rose is growing up, and when an old friend moves back to Laguna Canyon and appears in her drama class, things get complicated. 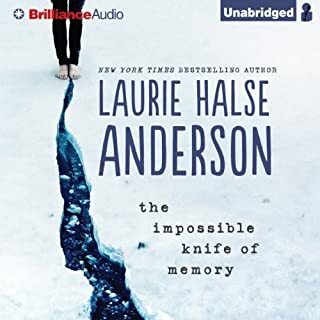 Jamie Aldridge is charming, confident, and a painful reminder of the life Rose has been missing out on since her brother’s death. Yet, when the two of them unexpectedly cross paths, Rose learns that Jamie has a secret of his own, one that changes everything. Golden boy Ezra Faulkner believes everyone has a tragedy waiting for them; a single encounter after which everything that really matters will happen. His particular tragedy waited until he was primed to lose it all: In one spectacular night, a reckless driver shatters Ezra's knee, his athletic career, and his social life. No longer a front-runner for Homecoming King, Ezra finds himself at the table of misfits, where he encounters new girl Cassidy Thorpe. Cassidy is unlike anyone Ezra's ever met - achingly effortless and fiercely intelligent. You know how when you search and/or purchase a book and the recommendations display at the bottom. Well, this one has been popping up for months, maybe even a year, and my instinct was to ignore it. Always go with your gut. This book wasn't horrible and I didn't return it, but I wish I hadn't spent my credit on it. The author tried to put a twist on it with newly fallen popular boy navigating "nerd" territory after being shunned for reasons beyond his control. Enter new girl, liking him as he is and the inevitable twist. Predictable time waster, but not worthy of purchase. Many clever YA titles abound, skip this one. One last thing...the female voices are cringeworthy. If you're still interested, do yourself a favor and listen to the entire sample. 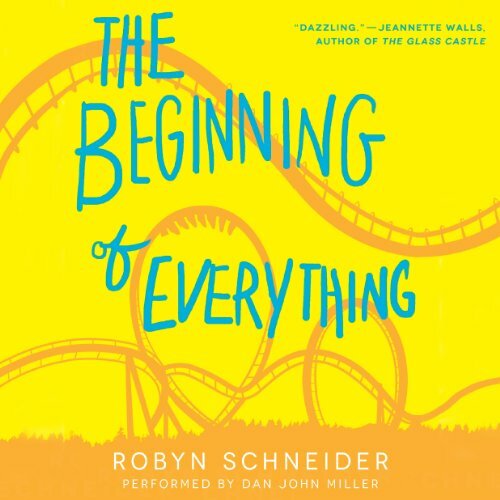 Would you listen to The Beginning of Everything again? Why? Ezra believes that within everyone’s life a tragedy lies waiting, and that only after said tragedy occurs does one’s life truly begin. Or, maybe, that is just how he wants to see the world since tragedy has befallen the once “golden boy” of Eastwood high school, a fictional school in a fictional Orange County town that seems very much like the Irvine I grew up close by to. Ezra’s tragedy changes his life drastically, and it is now up to him to decide how it changes him within that life. 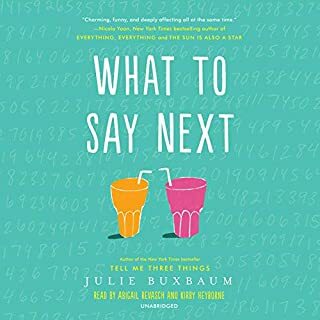 This is more than the typical coming-of-age story, and it is more than the young adult label may suggest, this is a book about living at any age, about loss and love, and about figuring out who you are deep down inside, and not just who you are to the world around you. 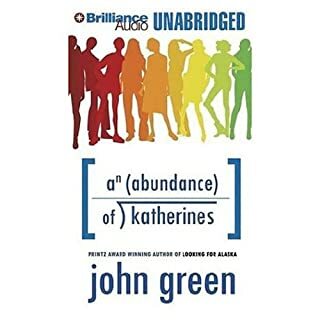 It will most likely be categorized on the “if you like John Green” shelf, which is not a wrong summation, but I think it is unique in its voice, style and character, as well. My initial love for this book came to me because of location. The setting, though fictionally named, is the area of Southern California that I came of age in. I know this place, and the inhabitants that live and grow there. I know the streets and the landmarks, the sound of the Disneyland fireworks, the fear of coyotes and the wealth backed right up to the migrant worker groves. I also know the pressure of the schools and students who live there, and the perceptions that so many try to live up to, or at least survive within. This book reads immediate, as if it was written yesterday, with nods to songs and bands, fads and technology. There are silent flash mobs, Doctor Who references, pep rallys to Vampire Weekend and make-out sessions to Bon Iver songs. And, there are philosophy and literary references that delight the book geek in me. The book overflows in pop culture in just the way that I adore. The characters are the kind that creep in and stick to my heart, especially Ezra and Toby. I loved their friendship, the complexities and ebb and flow that often happens to friends who meet in childhood and drift during adolescence. Theirs was my favorite relationship, and I was glad to see it transcend throughout the span of the story. I was also partial to Ezra and his dog, Cooper, very much a “boy and his dog” emotional tug that had me literally in tears at a certain point. I also loved that Ezra and Cooper had a Nick and Jay Gatsby relationship (loved The Great Gatsby references). Cassidy, the girl who comes into Ezra’s life at the post-tragedy turning point was a tough one for me. I wanted to like her, I wanted her to come around in the end and be something more for herself, and for Ezra, but she never did. There were shades of the “manic pixie girl” to her (I vehemently hate that term though), and at times she struck me as a teenage version of Clementine (Eternal Sunshine of the Spotless Mind), except not as likable, to me. Though, I will say that the wanting to like her and not ever getting there was unique, and in some ways I welcomed it. She was part of Ezra’s journey, and not every part of our epic life journeys include people who stick and stay forever. My two complaints are that I wish the author had stuck to the initial title of the book, Severed Heads, Broken Hearts, which I think fit so much more and has a more unique punch to it. Also, the narrator, Dan John Miller, while fabulous as Ezra, was terrible when doing the girl’s voices. It came across as a bad parody of a 1980′s Valley Girl and was often times distracting to the female dialogue. Beyond these minor complaints, I loved the book, the characters, the references, the setting, and the relationships. Ezra and Toby are now part of my list of favorite fictional characters, and Cooper, on a new list of favorite fictional dogs. What would have made The Beginning of Everything better? A somewhat less predictable plot, perhaps? Or maybe a slightly more likable love interest. Generally I think you're supposed to be rooting for the couple to be together, not hoping the girl would be ravaged by Coyotes. 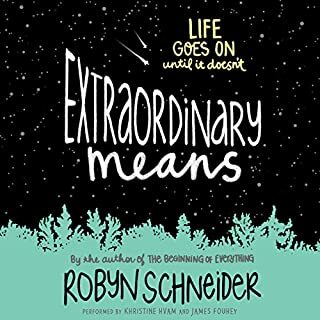 What could Robyn Schneider have done to make this a more enjoyable book for you? 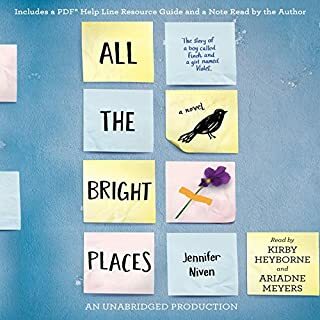 It really started strong, Ezra's thoughts on how everyone has their own tragedy and the story of his best friends, and his own, and well into the first few chapters I really was enjoying it, but then it just became a predictable Coming of Age story. Who would you have cast as narrator instead of Dan John Miller? Personally I'm not a big fan of male narrators, so I can't name any off the top of my head. He did fine with the male voices, but the female voices were pretty rough to listen to. But it could also be that I couldn't get into the story enough to ignore it. What character would you cut from The Beginning of Everything? Cassidy. I know that she is a main character, but I really did not care for her. Her personality was too uppity, judgmental and condescending. 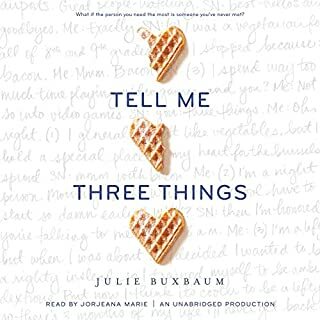 I really wanted to like this book, it was suggested as an 'If you liked The Fault in Our Stars -- You'll like this' and I felt this was a poor imitation of John Green. Striving for a touching, intellectual story but it just fell short. While I didn't absolutely hate the story, it was an evenings entertainment, I rather wish I hadn't opted to get this one. What disappointed you about The Beginning of Everything? I really wanted it to be fun and emotionally charged. It wasn't. It was painful and emotionally stunted and not worth your time. I don't know but I'll probably avoid YA for a book or two. What didn’t you like about Dan John Miller’s performance? I couldn't finish this book. I didn't love the characters, plot development (or lack there of really), and it was slow. Not sure if I just really couldn't relate to the main character/his perspective, or what but I was just really bored and annoyed, I just DNF'ed this book. I wanted to love it, and I had high hopes, but this one was just not for me personally. I read this book in highschool and enjoyed it, but this narrator is awful. The way he voices females is annoying, and he doesn't convey a lot of emotion. It's hard for me to finish the book because of him. The storyline here left a lot lacking. To be fair, I am not sure if it was the story or the narrator's performance that was worse. His performance of the female characters was like nails on a chalkboard. It sounded like bad female impersonators, which technically, I guess it was. A rather brilliant passages story. A new tweak on growing up . It was not until the end that you see the adults stepping out of the....what? Their out skins.....I liked the book. Read it straight through in one day. There was only one thing I didn't care for and perhaps could have made it better had the female voices been played by a female. It was read well, but at a certain point I realized the females sounded like a male impersonating a girl. Am I being too picky? I suppose so since I listen the whole day to it....enjoy!